MCX Gold futures slumped well under Rs 26000 amid a continued heavy sell off in world gold markets. 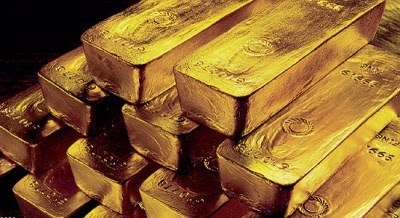 Soaring equities pulled COMEX Gold sharply as bargain buying failed to lift the metal much amid signs of strength in the US economy and worries over Indian demand.COMEX Gold has dropped like a rock after breaking under $1200 per ounce slipped towards its lowest mark in four years, testing $1160 per ounce. Global stocks edged higher owing to strength in US economy. The US economy recorded a growth of 3.5% annual pace in the third quarter, aided by a surge in exports and a big jump in military spending, the government stated. The US FOMC ended its six-year-long quantitative easing programme, costing around $3trillion earlier in the week. This is likely to keep gold bulls on their toes. Indian Gold demand is expected to slacken in the near term following a burst in buying in September.The traders have already stocked up enough gold and the imports are likely to come in around 50-60 tonnes in October-November. This could keep the metal under check in nearterm. The Chinese gold buying remains tepid too. China`s gold consumption tumbled 21.4% year on year in the first nine months of 2014 to 754.8-tonnes, the China Gold Association said in a latest statement. US dollar stayed well supported in the global currency markets, lingering around four year highs against the Euro and testing a seven year high against the Japanese Yen. Bankof expanded the size of its Japanese Government Bond purchases to the equivalent ofâ€œabout 80 trillion yenâ€ a year, an increase of Â¥30 trillion from the previou space. It said it would also buy longer-dated JGBs, seeking an average remaining maturity of 7-10 years. A stronger US currency makes dollar-denominated assets such as gold more expensive for other currency holders. 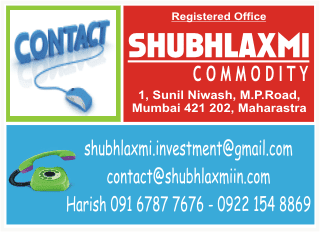 MCX Gold futures had surged above Rs 27000 per 10 grams mark around Diwali but fell heavily thereafter. The counter traded under Rs 25600 per 10 grams as sentiments reversed completely once markets opened after the Diwali holiday. Spot prices have also dived under Rs 26000 per 10 grams in the major cities of the country and are expected to hold around the same mark in the near term.